Elemis Cellutox Active Body Concentrate reviews: Good or Bad? Elemis Cellutox Active Body Concentrate Review: Is it the Best Choice? Elemis is a brand that traces its roots to the spa, and now combines science, nature and aromatics in every packaging of product it formulates. 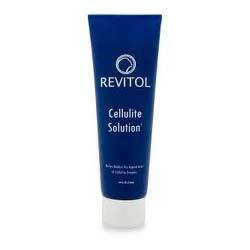 Apply Elemis Cellutox Active Body Concentrate on your problem areas after a refreshing shower. Pour and rub product between your palms to heat the oil then spread all over affected surfaces. This product is free from endocrine-disrupting parabens, pore clogging mineral oils and silicones, and synthetic colorants, all of which are potential irritants and can have lingering adverse effects on your health and well-being. This product perfectly fits and energizing and detoxifying skin care routine to re-energize your system and your body, and rid it of toxins, including excess fats. 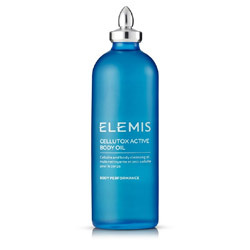 Elemis Cellutox Active Body Concentrate reviews are raving about the therapeutic properties of this product that has been cited for relieving cellulites to soothing painful muscles to treating migraines. Some people may experience adverse reactions to one or more botanical ingredients in the formula so make sure to perform a patch test to check for allergies before applying this product to large skin surfaces. This product seems to have a limited distribution network which makes it difficult to access, while it can be difficult to establish authenticity of products from available online resellers. Elemis Cellutox Active Body Concentrate offers a product that is consistent with the practices of Ayurvedic medicine and therapeutic practices. Essential oils have been used traditionally for their medicinal properties, and the ingredients have the potential to help relieve pains and improve fluid balance in affected areas. However, when it comes to cellulites and metabolizing unwanted fats, you may expect some enhancements but are these will be negligible and you won’t even notice the difference.